A visit to World famous Loch Ness is only 45 minutes from Woodside by car – about 35 miles to Fort Augustus where the Caledonian Canal pours into the south-end of Loch Ness. 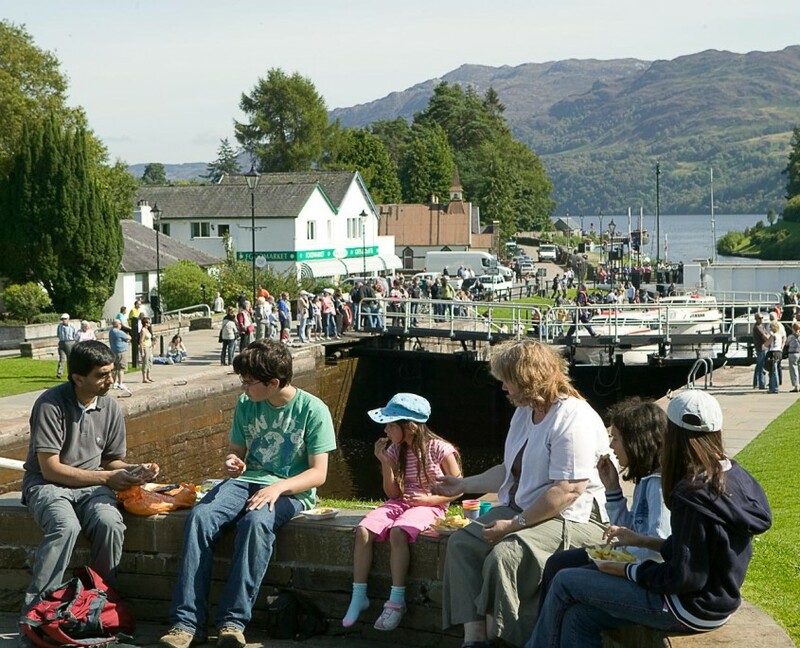 Fort Augustus is a very picturesque village with several nice pubs and hotels – a good place for lunch and to see Loch Ness – take a boat trip… spot Nessie, the Loch Ness Monster. A further 15 miles north on the A82 just before Drumnadrockit is Urquhart Castle by the shore of Loch Ness. – Explore the castle ruins right by the loch shore. Off to Inverness for lunch at Black Friars Pub and then some shopping before taking the A9 road south to Carrbridge, Boat of Garten, Aviemore, Loch Laggan and then south to Fort William via Loch Laggan – The Monarch of the Glen country and Spean Bridge – a great day out from Woodside!